The Uzbek national airline, Uzbekistan Airways, terminated the operation of IL-114-100 aircraft in accordance with the development strategy. “Since May 1 of this year, with the aim of unifying the fleet of aircraft, increasing the efficiency and profitability of flights, the airline stopped operating IL-114-100 aircraft,” the company said. According to the plan of measures of the national airline for decommissioning of Il-114-100, all aircraft will be put up for sale. There are six such units in the company's fleet. Pilots of Il-114-100 aircraft will pass in stages retraining and training for flying on Boeing and A320 aircraft operated by the company. IL-114-100 aircrafts were previously operated on in-republican directions. Earlier, Uzbekistan Airways announced that it signed an agreement on the delivery of another Boeing 787-8 Dreamliner with Boeing corporation. Thus, the national air carrier of Uzbekistan will have six airliners of this type in its fleet until 2020. Uzbekistan Airways became the first customer of the Boeing 787 Dreamliner in Central Asia. The airline launched commercial operation of Dreamliner in 2016. On July 27, 2017, the national air carrier of Uzbekistan performed the first non-stop flight from Tashkent to New York on this type of aircraft. Uzbekistan Airways was established on January 28, 1992 upon the presidential decree, wholly owned by the state. The aircraft fleet of the Uzbek airline currently has 31 aircraft of western production, including thirteen Boeing passenger aircraft, thirteen airbuses (three A-310 and ten A-320-200), three medium-haul RJ-85s and two cargo planes Boeing-767-300BCF. The Uzbek airline operates flights to over 20 cities in Europe, America, the Middle East, Asia, 22 cities of the CIS countries and 11 destinations on local airlines. 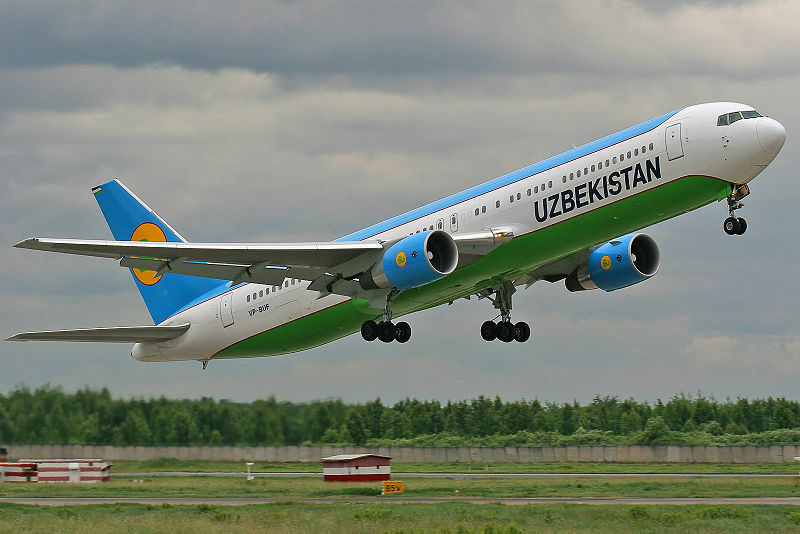 Uzbekistan Airways has 11 airports located on the territory of Uzbekistan, six of which are international. The company has representative offices in 25 countries. The national air carrier transported more than 2.703 million passengers in 2017. Last year, Uzbekistan Airways performed 22,950 flights compared to 22,387 flights in 2016. "Uzbekistan Airways" moves Moscow flights from "Domodedovo" to "Vnukovo"